Hair grows from a small sac in your skin called a 'hair follicle'. It grows from these follicles in repeated cycles. 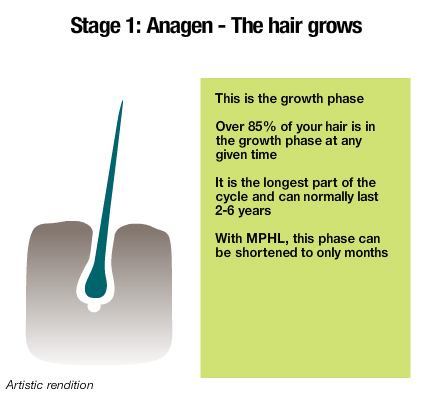 The normal hair cycle has three phases: a growth phase, a regression phase and a resting phase. Different hairs will be in different parts of the cycle. So while some of your hairs are growing, others are resting and some will be falling out. 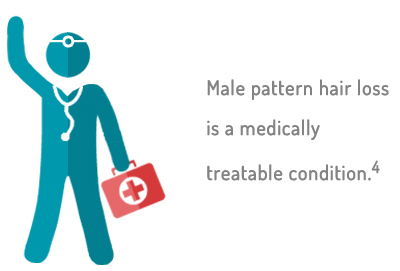 Male pattern hair loss affects your normal hair cycle. 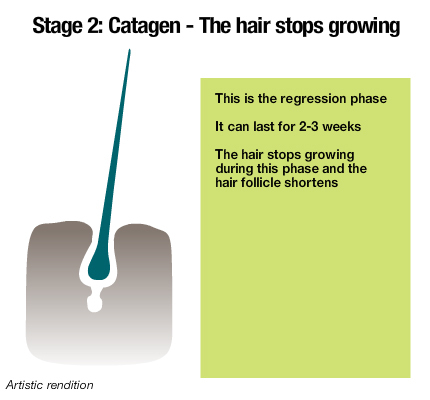 It causes the length of the growth phase to become shorter and shorter from one hair cycle to the next. Your hair therefore doesn’t have as much time to grow and so doesn’t grow as long. As well as being shorter, hair in the affected areas will also be thinner and paler in colour (vellus hairs). This is because male pattern hair loss causes the hair follicles to become narrower and shorter. 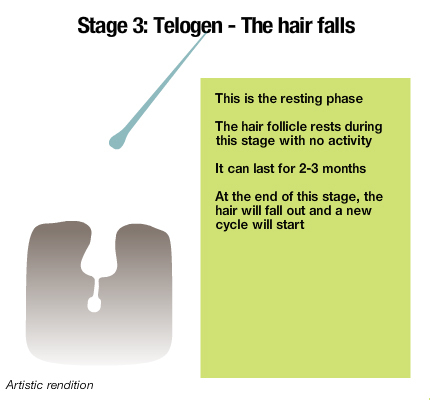 The resting period of the hair cycle is not affected. However, because the growth phase is so much shorter, the time when the hair follicle is empty becomes relatively longer. So, fewer hairs are present on the head at any given time. This also adds to the effect of lack of hair. 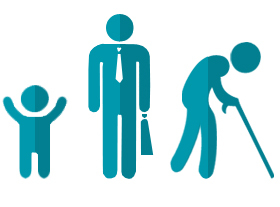 Male pattern hair loss is age-related - as you get older, you are more likely to experience hair loss. The hair loss is also likely to become more severe as you age. Male pattern hair loss can be seen in members of the same family. It is thought that certain genes are linked to the condition. Some types of genes are thought to make your hair follicles sensitive to hormones called androgens - these are known to be involved in causing male pattern hair loss. Male pattern hair loss is related to a certain group of hormones (androgens) - in particular to one called dihydrotestosterone (DHT). 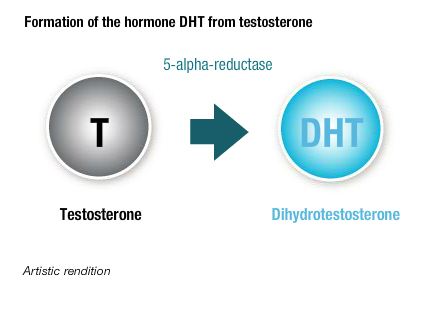 DHT is made in your body from the male hormone testosterone by an enzyme called 5-alpha-reductase. This enzyme is found in hair follicles. 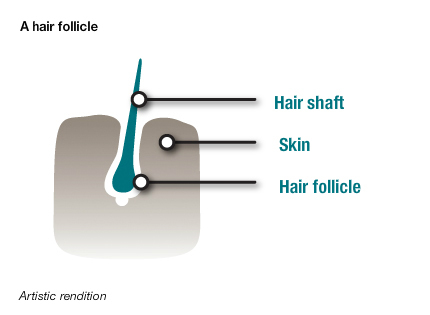 DHT acts on the hair follicles and causes them to become smaller - a process called 'miniaturization'. It also shortens the growth phase of the hair cycle, so more hairs enter the resting phase earlier than they should. This makes your hairs grow shorter than before and causes more hairs to fall out from your head. The miniaturization of hair follicles occurs in a defined pattern on your head – this is what causes the distinct pattern of hair loss.